After Almost A Decade Kannada Actress “prema” Made An Appearance On Udaya Tv As Walk-in Celeb For “udaya Singer Junior”. After 17 Years The Pair Of “kanasugara” Came Back On Small Screen To Recreate The Magic Again For Our Audience By Performing Dance With V Ravichnadran For The Song “yello Adu Yello” Song. V Ravichandran Adding To This Shared A Secret That Prema Was Always Being Luck For His And Her Combination Songs. Prema Was On The Show As Part Of The Promotion For Her Latest Release “matte Baa Upendra” Along With Arun Loknath The Director Of The Film. 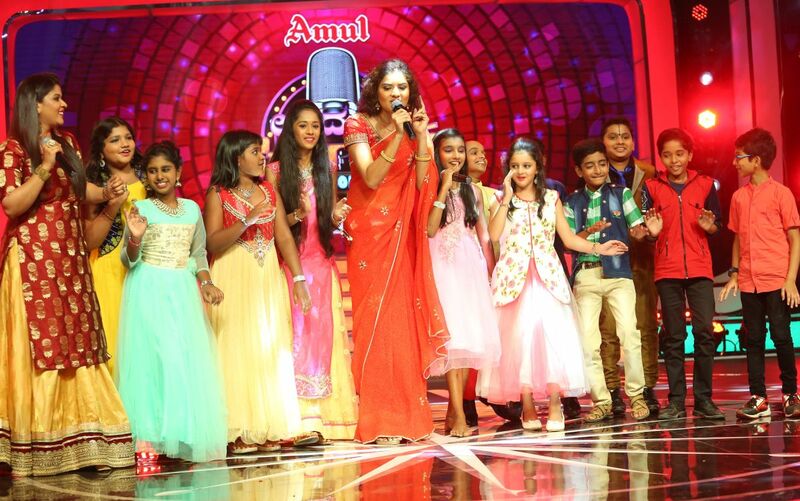 Prema Enjoyed The Most Being Part Of The Show And Was Very Impressed With The Performance Of The Contestants. She Encouraged Kids By Her Great Positive Comments. On The Usj Stage She Performed Live Singing For The Song “balabangara Neenu”. All The Kids Joined Prema For Her Singing And Made The Evening A Memorable One. Udaya Singer Juniors Every Saturday And Sunday At 9.00 P.M Only On Udaya TV.